Believe or not, I started writing these Housing Notes a year ago. The first Housing Note was more of an introduction, but this effort quickly morphed into a weekly ritual that I can’t seem to stop thinking about. Where else can you get housing commentary AND discussion on a new twist on banana bread pudding (h/t OC) and housing? Which forces me to point out, BECAUSE THE BREADTH OF COVERAGE DOESN’T EXIST ELSEWHERE. And it’s important to appreciate where the best banana bread pudding comes from: Magnolia Bakery. Remember this 2005 SNL video called ‘Lazy Sunday‘ where someone macked (sp?) on some cupcakes? Who made those cupcakes? Yep, Magnolia. This video went viral in 2005 when the wheels were coming off the housing wagon (and I started to blog) but most didn’t see it yet. It is simply diabolical to take it a step further and see Magnolia as famous for it’s cupcakes but the informed love them for their banana bread pudding. You need to understand this because that 2005 SNL short made a new little startup called Youtube go viral and probably influenced Google to buy them for $1.65 Billion shortly thereafter…as free flowing credit allowed anyone to purchase anything, everywhere, yo. Watch it. 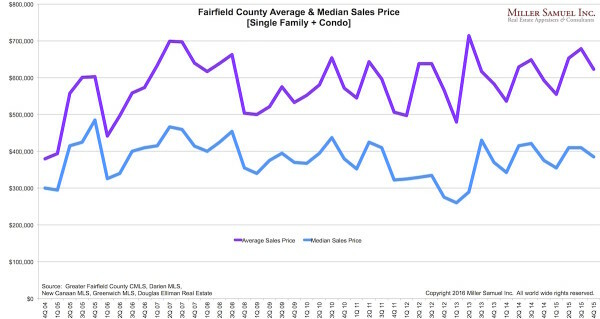 Since I’m reflecting on the past (and banana bread pudding), it would be appropriate to look back at an event that started this writing journey, the housing/credit bubble. It spurred my forays into podcasting as The Housing Helix (in my first 2009 podcast intro, I sound beaten up by the financial crisis), blogging on Matrix (my first post was a Marketplace Radio segment how appraisers were pressured to hit numbers), social media, magazine and commentary in newspapers, op-ed pieces and a lot more. After all, appraisers are observers of the housing market from the street view, why not get a closer perspective? 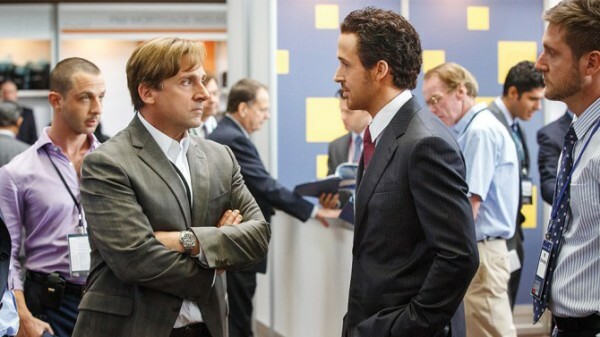 My wife and I finally carved out time to go see The Big Short – the story of the financial crisis that brought down the housing market. Our delay in seeing it wasn’t a sign of reluctance but rather my lack of enthusiasm to commit to watching ANY movie (except Repo Man as been discussed on HN before). I’ve always been that way. But combine a book that Michael Lewis authors, my favorite Led Zeppelin song and the housing bubble and I’m in. Michael Lewis said during an interview once that he never imagined The Big Short being made into a movie, unlike others such as Moneyball and The Blind Side. It was too complicated. The director had to provide comic relief and break down the fourth wall to keep it interesting. Otherwise how could they expect a movie-going audience to understand all the technical terms and concepts, when Wall Street clearly proved they didn’t understand them either – despite creating them. On screen quotation from Mark Twain: It ain’t what you don’t know that gets you into trouble. It’s what you know for sure that just ain’t so. I thought it was weird to seemingly pin the beginning of this whole thing on Lewis Raineri who invented securitization although he is rightfully in the top 25. It’s also never fair to exclude home buyers and home sellers from this list (remember liar loans) as well as whole industries related to Wall Street. Joshua Brown aka The Reformed Broker (@reformedbroker) did a great video summary with Time Inc. on the importance of the movie and the lessons learned. This is really worth a watch. Here are a collection of the movie trailers. So I think you can tell I liked the movie. If you still don’t want to see it, then at least read the book. It was so riveting I read it in two evenings. The housing market conditions we are experiencing now are actually the hangover caused by the financial crisis depicted in the movie. 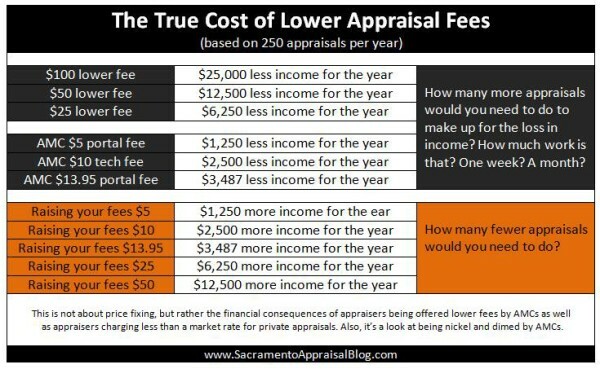 Ryan Lundquist of my often referenced must-read Sacramento Appraisal Blog created graphics that illustrate how fee adjustments can eat you alive. Now imagine what happens after systemic price chops are made and their adverse impact to the intellectual experience of an industry that is supposed to assist with mortgage risk management? Dodd-Frank (initially HVCC) literally gutted the reliability of the bank appraisal industry overnight (on May 1, 2009) and good appraisers like Ryan and myself moved on to greener pastures of non-bank work, where the fees are higher and the respect for expertise actually exists. Speaking for myself, my expertise and those of my experienced peers has been lost forever by the mortgage lending industry. We’ll probably never return. Like the Wall Street depicted in the movie, generic retail national big bank higher ups have no idea what is going on with asset valuation (appraisals) used to determine lending risk on their mortgages. UPDATE I still find the state of appraisals absolutely incredible: We are in the midst of a prolonged period with the tightest mortgage lending conditions of the modern era. If lenders are being conservative (risk-averse), they are still oblivious to the risk of basing their adequacy of collateral decisions almost exclusively on third party institutions (AMCs) whose business model relies on, and only can survive on, poor quality appraisals. Collusion between some appraisers and some mortgage brokers must be stopped because that relationship caused the financial crisis although it didn’t because it was a symptom of widespread conflict of interest, not a cause. In order to comply with regulations, let’s take a modest appraisal fee and give half of it to a third party to manage appraisers because everyone knows that managing the flow of appraisers workload by 19 year olds chewing gum is equally critical to risk management as the expertise and training that used to go into appraisal quality. In order to justify AMC importance to the lending system as they take half of the appraisal fee from appraisers, let’s create a system where “scope creep” runs amok so that clerical staff without valuation experience go through expanding checklists of clerical requirements to justify the AMC half of the appraisal fee. Lets make a big assumption that defies logic or reason to cut the wages of the entire bank appraisal industry by half and because AMCs have lobbying power, argue that the quality of appraisals won’t deteriorate working for half price and untenable turnaround requirements and because AMCs are paying lots of non-appraiser clerical staff to manage appraisers and use internal analytics sourced from crappy data scraped from reports of rushed and underpaid appraisers who remain in the industry as well as those few new entrants who were never mentored. Let’s not assume that an overnight cut in the bank appraiser’s wages won’t attract a lesser quality appraiser to enter the industry. After all, entire industries or trade groups such as lawyers, public officials, bankers, politicians, regulators all had their wages instantly cut by half since the financial crisis, right? Lets mislead the public to think there is an appraisal shortage to save the AMC model when there is clearly only a shortage of appraisers willing to work for half the market rate. Appraisals are not a commodity. 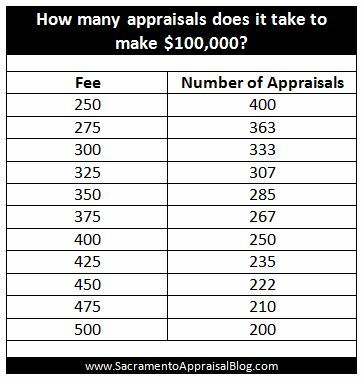 Experienced appraisers are valuation professionals and we are dwindling in numbers. We are not a title search or a flood certification. Tim Geithner Blames The Housing Bubble on Thin Home Equity? The former New York Fed chair and Former U.S. Secretary of the Treasury Timothy F. Geithner hosted a lecture series on Coursera, which is an awesome teaching platform. John Wake at Real Estate Decoded, an excellent blog by an economist turned real estate agent, takes a look at the course. The distortion of having Geithner provide his perspective, much like the well written “access journalism” book “Too Big Too Fail” forgot about the part where Geithner ran the New York Fed during the run-up and New York is where most of the big banks were headquartered. He was part of the problem so his contribution to providing the solution is unsettling to me. Geithner’s actions were specifically talked about in the excellent read: Bailout: An Inside Account of How Washington Abandoned Main Street While Rescuing Wall Street. With the recent NYC development boom’s focus on the very high end of the market, we are seeing the top begin to soften. High end co-ops are starting to loosen their rules, forced by competition from new condominiums. The new development condo market way overemphasized very large units and we are starting see developers react by chopping them in half. The logic being that there are more buyers for two $20 million condos than one $40 million dollar condo, or something along those lines. 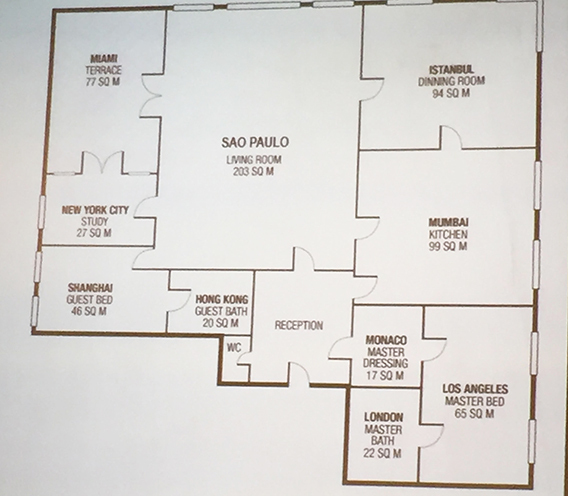 This is illustrated by this Bloomberg piece NYC Penthouse Gets Sliced in Two as Luxury Market Falters. This can only work if the pricing of the sum of the parts is much less than the price of the whole. Is the Bay Area on the Verge of a Housing Bubble? 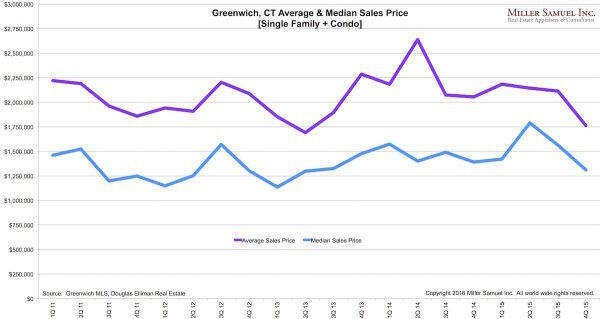 I shared new chart idea last week, illustrating the change in market behavior of Greenwich, CT since the financial crisis – ironically a housing market driven by Wall Street. 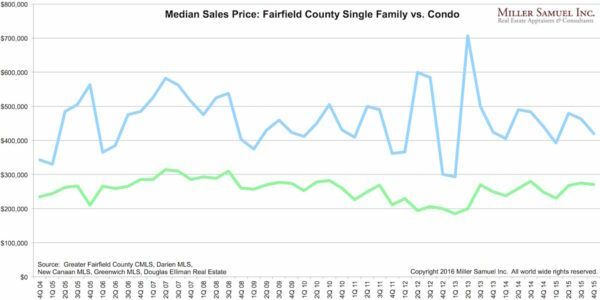 I thought I’d share more charts from the region, Fairfield County. 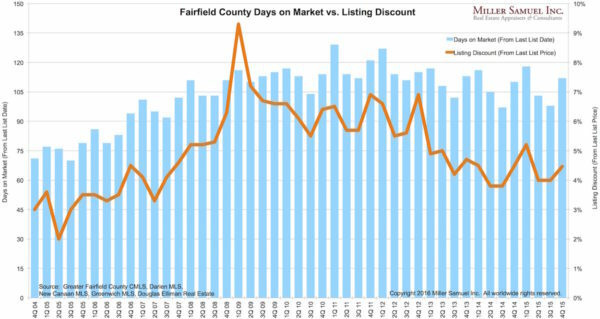 Despite New York City’s luxury market boom of the past 5 years, Fairfield County and specifically Greenwich, hasn’t enjoyed the same intensity at the top of the market. If you need something rock solid in your life (particularly on Friday afternoons), sign up for my Housing Note here. And be sure to share with a friend or colleague. They’ll see The Big Short, you’ll try donut ice cream cones and I’ll keep eating banana bread pudding without chocolate.